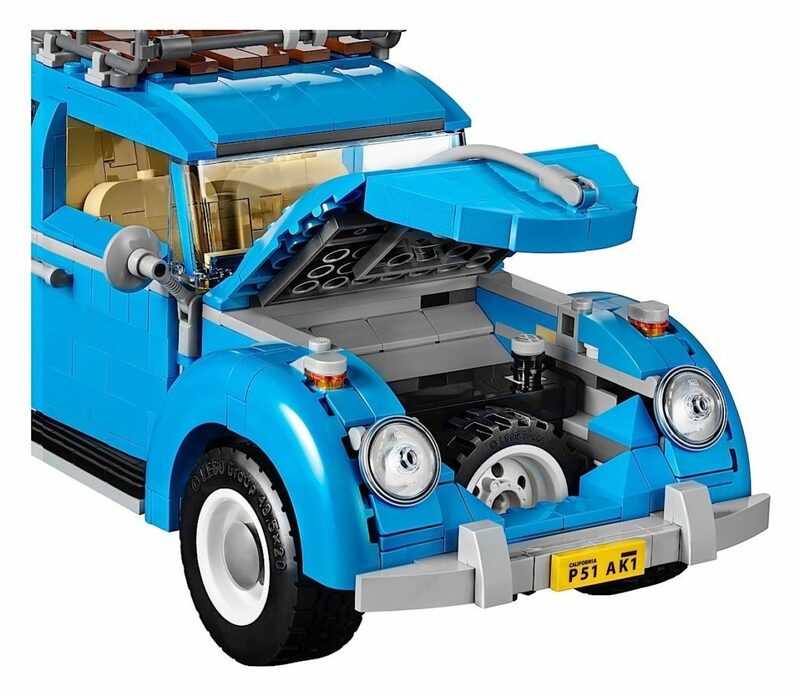 People who habitually harangue the Porsche 911 (Hi, Jeremy Clarkson!) 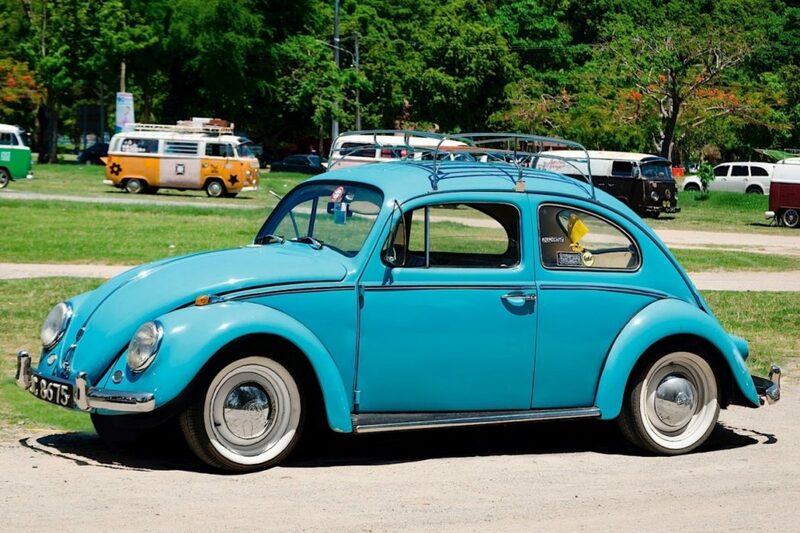 often dismiss the iconic German 2+2 as an overgrown, overpriced Volkswagen Beetle. 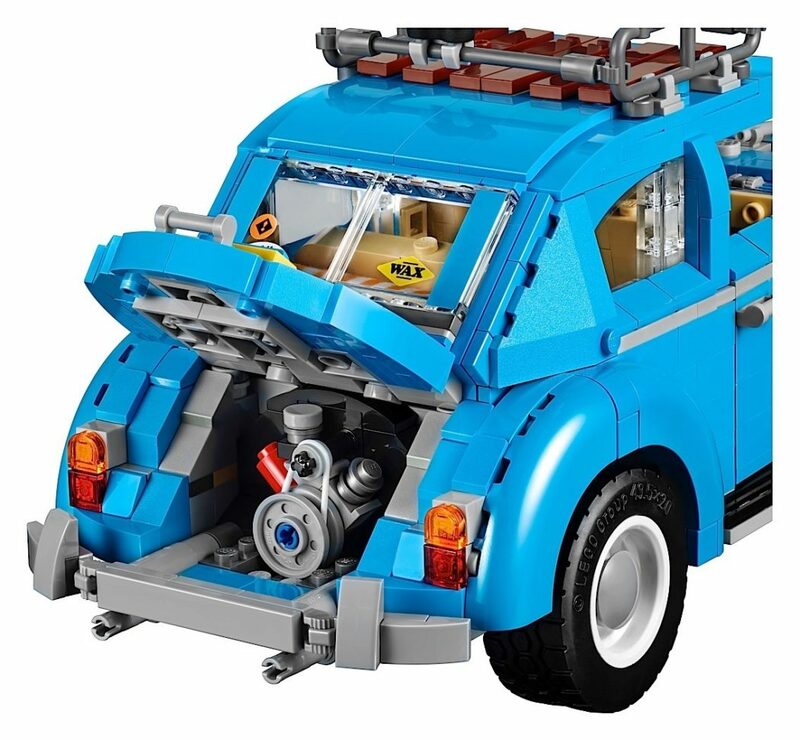 So please forgive our bemusement upon bringing you the news that LEGO – without even the faintest residue of irony or snark – is following up its badass Technic 911 GT3 RS set with a classic VW set. 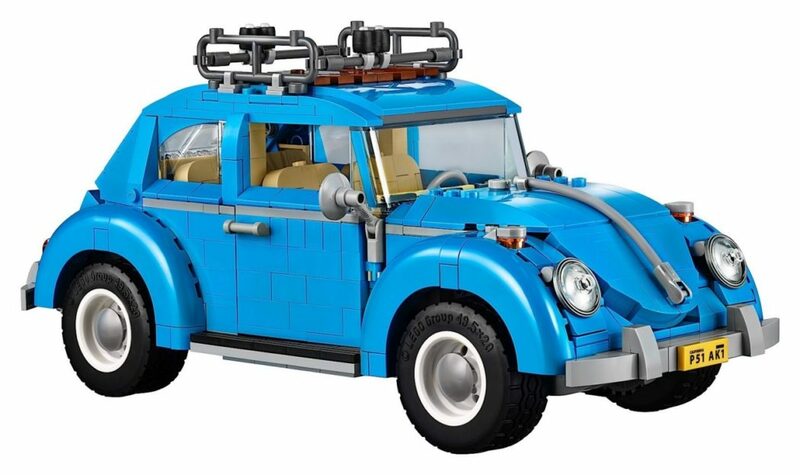 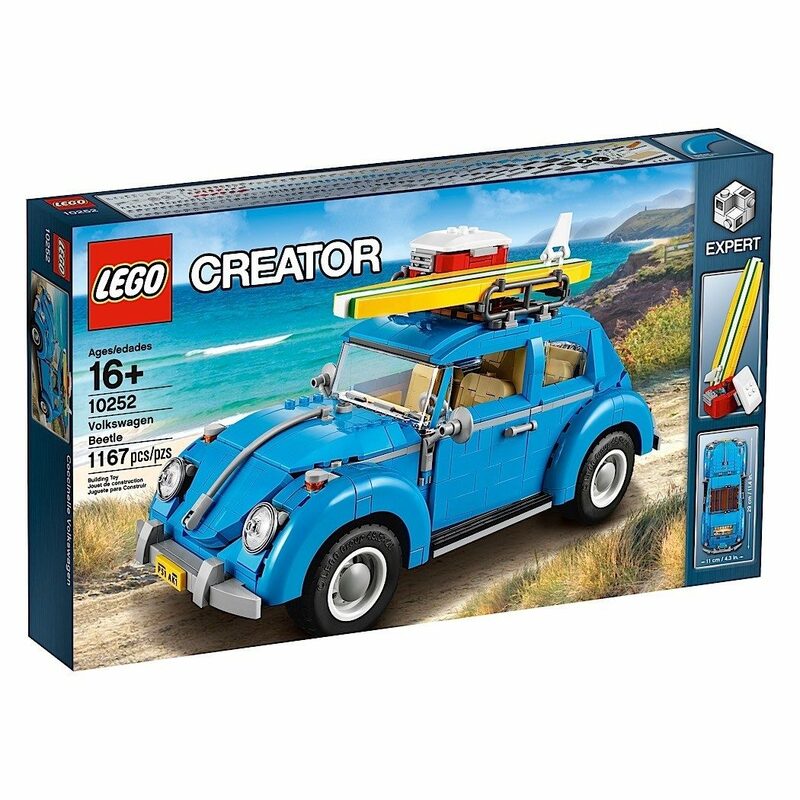 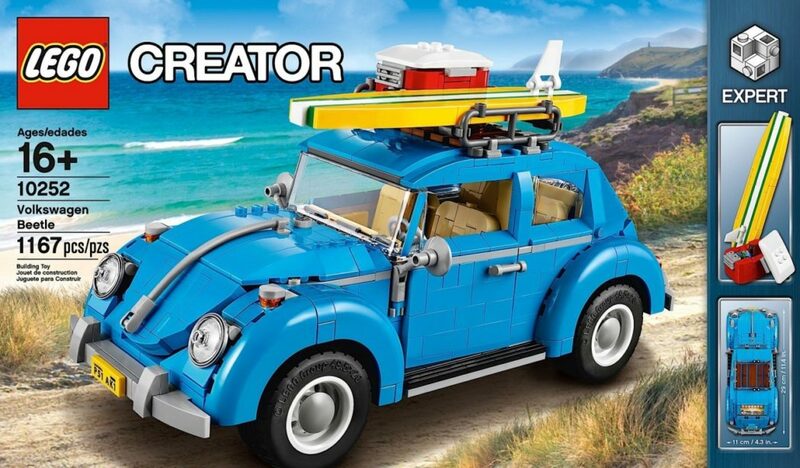 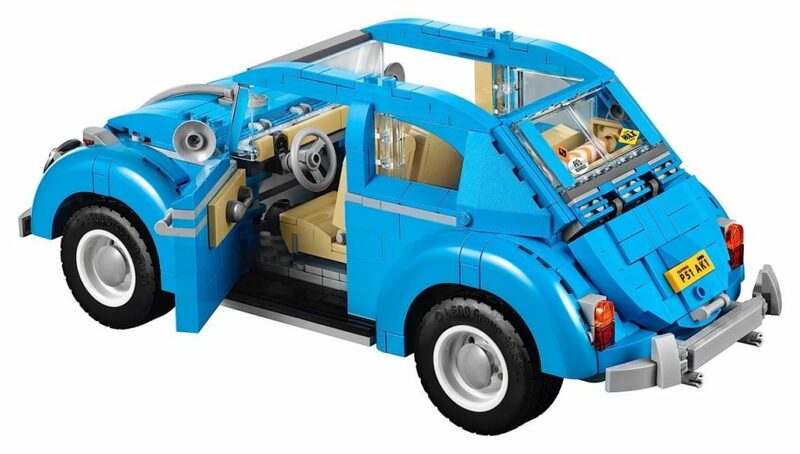 Part of the LEGO Creator Expert product line and scheduled to go on sale August 1st, this 1,167-piece set lets you build an 11.4” long representation of a Type 1 Bug. 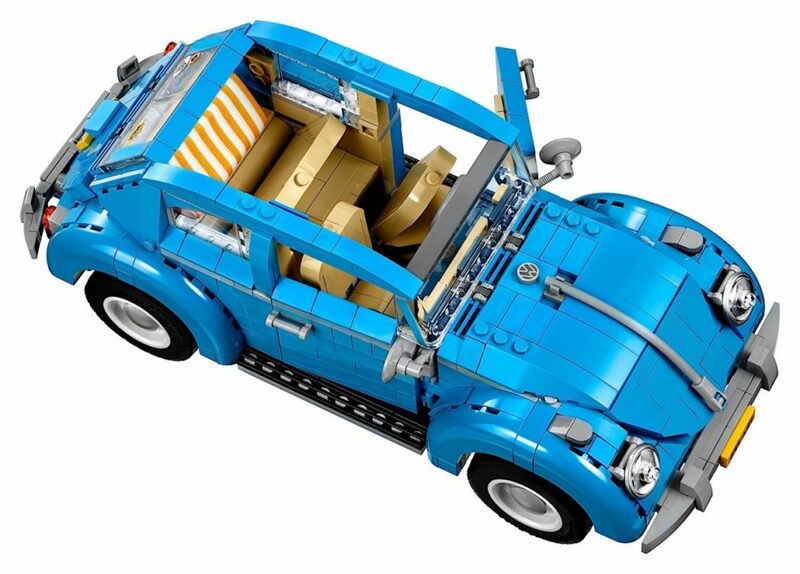 Stylistically, it’s something of a hodgepodge, with the larger windows and amber rear turn signals of a later car and the chrome front trunk trim strip and swept back headlights of an earlier model. 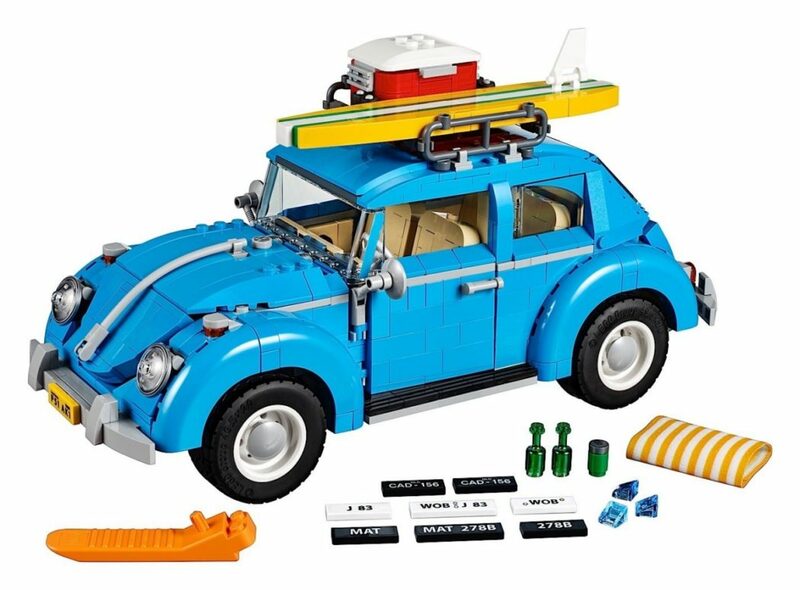 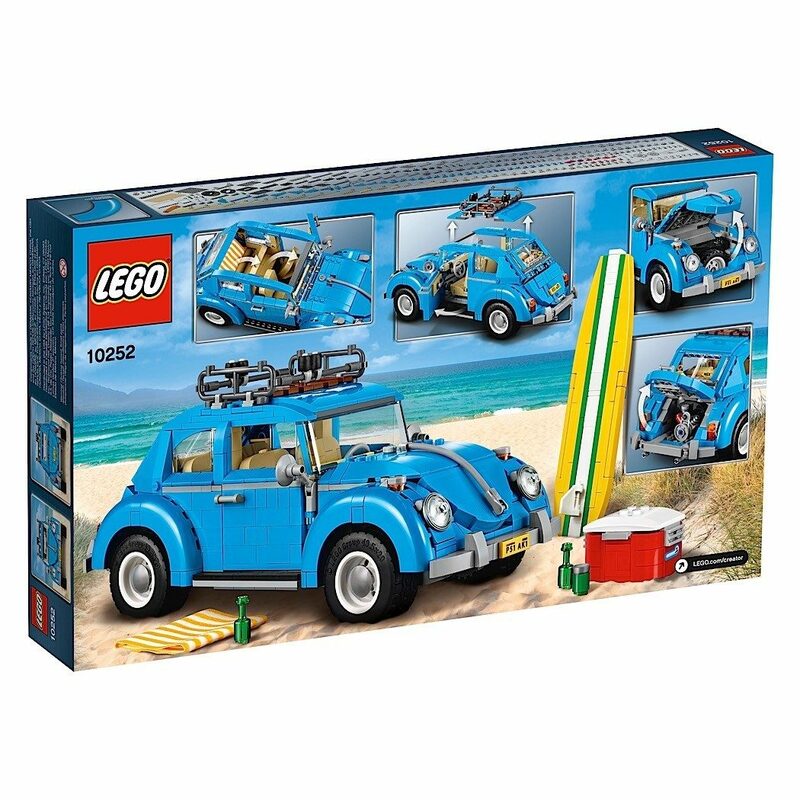 Dub nuts might object to those discrepancies, but we’re confident they’ll appreciate the detailed interior, convincing representation of the air-cooled flat-four, and the roof rack to carry the included surfboard and cooler. 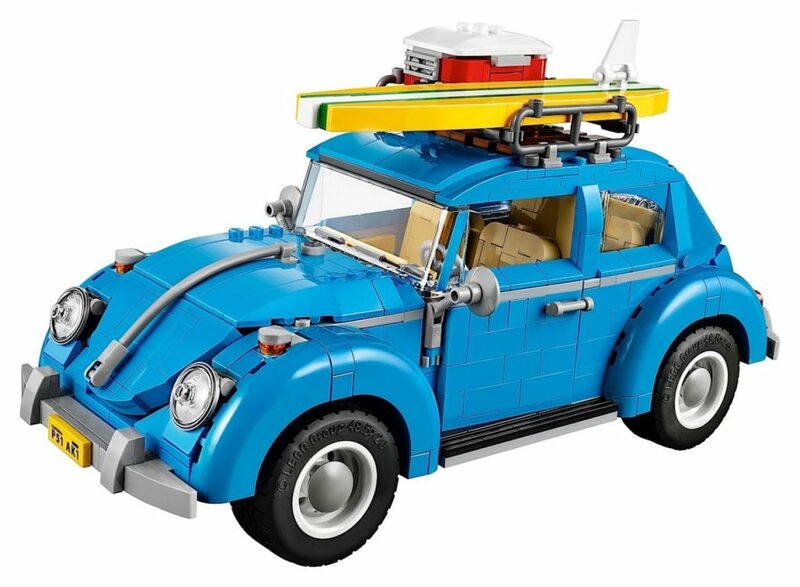 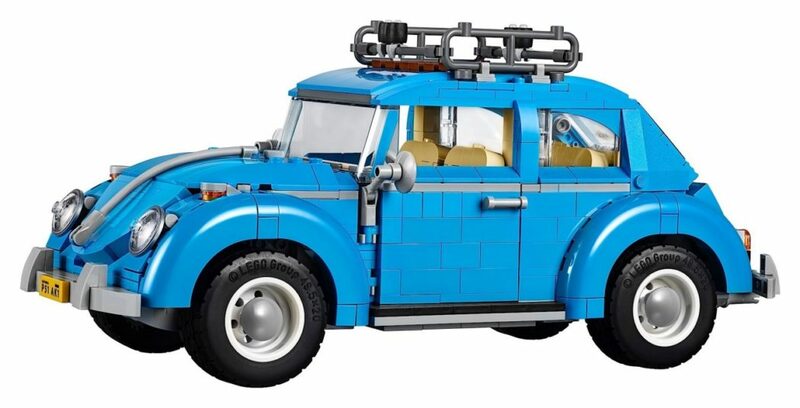 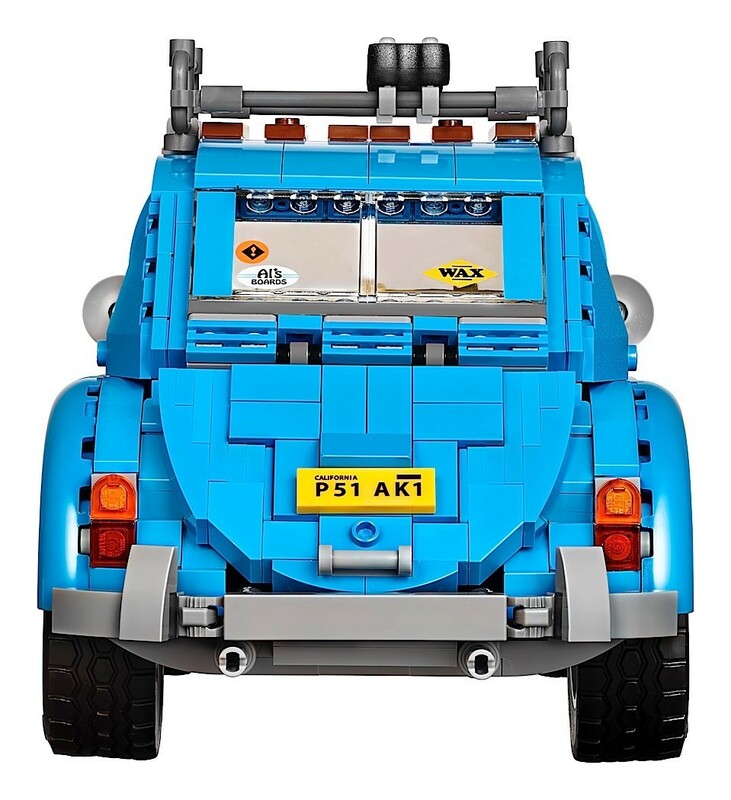 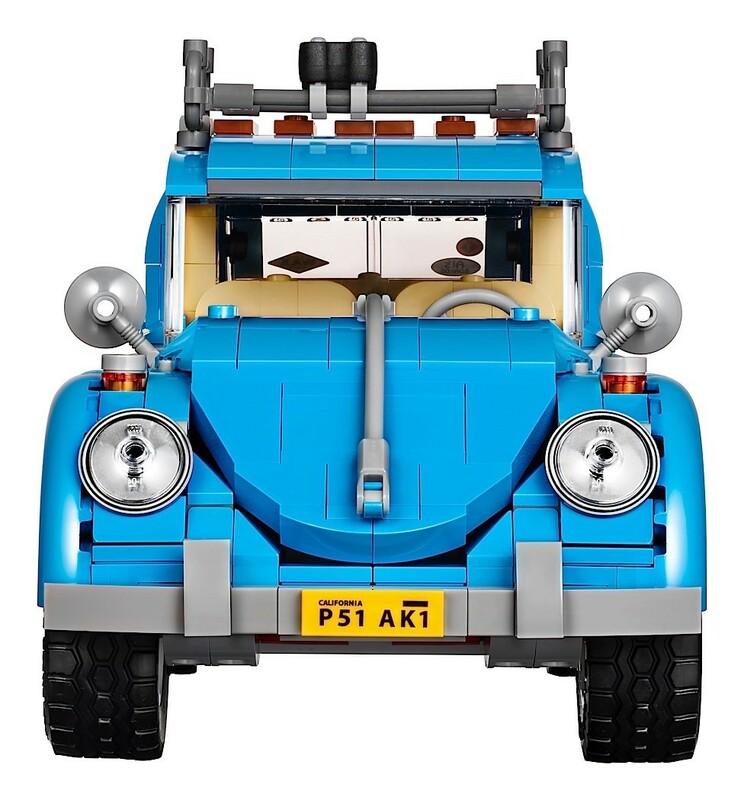 The $99 price also gets you multiple period-appropriate license plates from different countries and a handy-dandy brick separator tool for when you eventually get tired of your brick-tastic Bug and want to build something else.